Real Estate Counter Offer Strategies That Work! 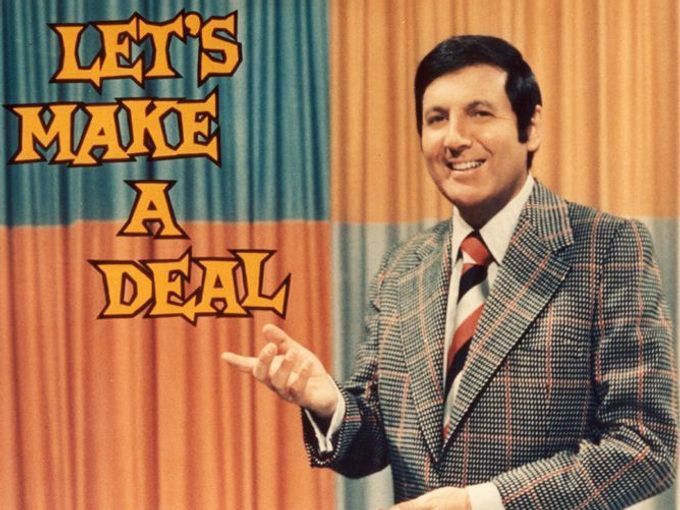 Remember the game show “Let’s Make A Deal”? Well, welcome to the Homeowner edition where you’re the star! Don’t worry, you don’t have to wear Monty Halls tweed blazer to play. Let’s talk real estate counter offer strategies that will get you from the opening offer to the closing table. You got an offer, what now? Congratulations on getting your home listed for sale. You’ve boosted your curb appeal with fresh mulch, shampooed the carpets and sent the kids to Grandma’s so they don’t ruin all of your hard work preparing the home for sale. Before you know it, there are people poking around your house more than Aunt Ida at Thanksgiving, when all of a sudden, your listing agent starts making it rain offers. Offers! That is the sweetest music to a seller’s ear. So now what? Well, you have 3 options on what to do with an offer. You can accept, counter or reject. Don’t be too fast with your auction gavel to announce this home sold to the first bid. When a buyer makes an offer that is under the asking price, they are usually expecting some haggle room. This leaves us with counter or reject. It’s important that you know the difference between a counter offer and rejecting an offer. To counter means you are rejecting their offer, but proposing a new one in return. As to where a straight offer rejection tells the buyer, without any other input from you, to simply come back and try again. Why would you want to flat out reject an offer without a counter? It gives you the ability to accept another offer that may come in without having to rescind your counter to buyer #1. Are we still following? Great. So now that we know what a counter off is, let’s talk counter offer strategy. Why would a counter offer happen? There are more reasons than just the list price that may get you an opportunity for counter offer strategy. Buyers may be in the market for more than just the bones of the home. The most common items that a buyer may try to bargain for are personal property items they saw during their showing (probably not your three stooges coffee mug collection) but more like appliances, the swing set in the backyard, or the pool table in the basement. Other common items in the negotiation are for the seller to cover closing costs, maybe the buyers want an earlier possession date, a longer inspection period, or a home warranty included. The buyer may ask for one of these things, all of them, or none of them. The point is, everything is up for wheeling and dealing so make sure you’re getting the most out of this sale, it is for most of us, the largest investment we’ll ever have. Now that you know what the barracudas are going to try to ask for, you can come up with a plan. The first step is to talk over your counter offer strategy with your listing agent. Let them know what you are willing to negotiate and what you are not. This way you don’t end up with seller’s remorse when you realize that mug collection would have looked great in your new man cave. Those little extras add so much value for the buyer, especially if they are first timers and are coming up with closing costs out of pocket. The other instance when counter offers are so important is when you’re dealing with multiple offers. How do we get multiple offers? The number one factor is pricing it right, right from the start. You have to take your emotions out of the listing price. Prospective buyers aren’t interested in your sentimental value of the home, they want a home they can make their own memories in and for the right price. Another way to maximize on multiple offers is to create a bidding war. Allow your listing agent to publish your listing and allow showings but make it known that you will not entertain any offers until after the open house on Sunday. This let’s the buyer pool know that they are in steep competition and their buyer agents will advise them to bring their highest and best offers to the table. No room for low balling when they don’t know how many other people they’re up against. The open house is over, only the broken cookies are left and you’re glad you spent the $20 on carpet protectors. Time to review the offers. It will be helpful if you are using a transaction management system that allows you to see offers coming in, in real time. Is it possible to counter multiple offers at once? Yes, but be careful with this. You can’t let multiple buyers accept your counter offer simultaneously, you don’t have a second house in your pocket and that means lawsuit. That leaves us with a couple counter offer strategies to play. All counter offers come with an expiration date and time. If you counter multiple buyers within the same time period, you’ll have to rescind the others if you accept one and you’ll have to do this BEFORE any of the other buyers accept your counter, or else. If you’re less the gambling, bungee jumping, adrenaline junkie type-I’d suggest door #2. You can still make several counter offers but use time to create urgency. Set up your expiration times so that you don’t overlap and put yourself in a pickle. Example: Buyers #1 and #2 give you 48 hours to respond to their initial offers. You counter buyer #1 and give them 24 hours to respond. At the 24 hour mark, buyer #1’s counter expires and you give buyer #2 a counter offer with 24 hours to respond. This way you are within the 48 hours they gave you and your counters do not overlap. You now have your utility belt full of counter offer strategies and are ready to take on all those offers coming at you. **Tweed blazer sold separately.